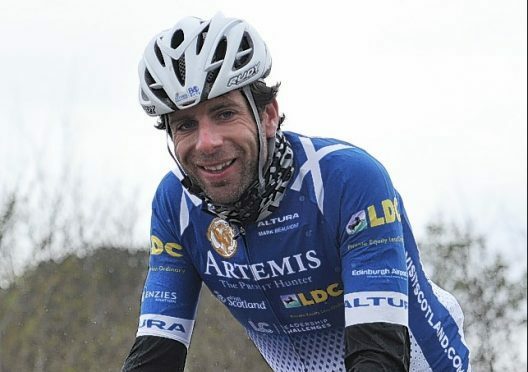 Legendary endurance road cyclist Mark Beaumont is to race the Strathpuffer 24 in the Highlands. The 35-year-old elite athlete, author and broadcaster will line up in the pairs category with Alex Glasgow – his ‘Around the World in 80 Days’ mechanic and a five-time Puffer competitor. The Strathpuffer – or The Puffer – started in 2005, originally as a one-off local event, but has grown into a massive mountain bike event (MTB). It is raced in Contin woods, close to the Victorian Spa town of Strathpeffer. It can be raced in teams of eight, four, two – or even as a solo. Competitors attempt to get around the 12.5-mile track as many times as possible within the 24 hours. Whilst Beaumont is renowned for his record-breaking achievements on the tarmac, the 2019 Strathpuffer 24 will be his first ever MTB race and marks the start of a whole new grittier two-wheeled journey for the Scottish adventurer. He said: “I have lived on the ribbon of tar for many years, and now it is time to explore off-road. “Alex and I hope to take on some of the world’s biggest endurance races in the coming years and we’re jumping in at the deep end with this one. The ‘Puffer has a history of attracting big names from the world of adventure and endurance sports with the likes of Guy Martin and Alastair Humphries having participated in the past. The 14th edition of the legendary winter mountain bike endurance event will take place on January 19 and 20. Over the years competitors have battled against all types of weather, including gales that blew away the event marquee, iced roads, -10C temperatures snow-filled roads, rain, hail, and some times sunshine. Mark Beaumont, BEM, 35, holds the record for cycling round the world, completing his 18,000-mile in September 2017, having taken less than 79 days. In February 2010 he completed a quest to cycle the Americas, cycling from Anchorage, Alaska, US to Ushuaia in Southern Argentina.